One of my favourites! This is one of the most underrated roads in the world, mainly because the bar is set so high in this area of superlative roads. This pass can be ridden in either direction, depending on which way you are heading. 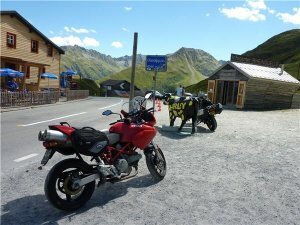 If you are riding east, you start in Andermatt, beginning in the middle of town. Andermatt is rich in history, it sits in a high alpine valley and provided the natural crossing point for online casino those travelling north to south and east to west. And it still does! Leave Andermatt heading east up the western ramp of the Oberalp. This ramp is open, fast, wide, good surface, easy to overtake and has good visibility i.e. great fun if you are on online casino any type of sports bike but easy for any type bike. Sweepers give way for wide hairpins up to the summit. Approaching the summit you ride by a high mountain reservoir, and once you are there are a couple of cafes to grab a bite or a drink. The east ramp is much tighter but never the less a pleasure to ride all the way own to Disentis. Enjoy the Oberalp, it really deserves more love!